Directions: coming over Red Hill from Cape Town’s side you turn left at the bottom. Shamballah is just a bit further on and to your left. Coming from Simonstown around Cape Point, pass the Nature reserve entrance on the left, then the Nursery on your right and Shaballah is straight after that. 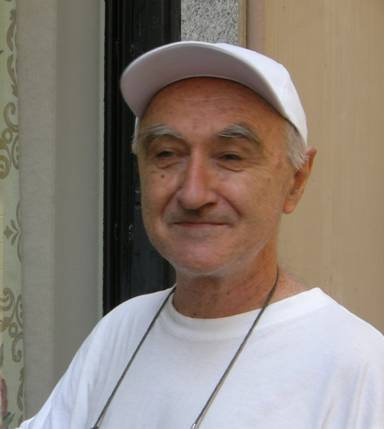 Samten de Wet is an intrepid and seasoned researcher of history, art and esotericism. In the course of his extensive travels he has met and collaborated with many great teachers of religion, spirituality and mysticism. His understanding of and interest in astrology has been fostered by his fascination with hermeticism, alchemy and mythology. 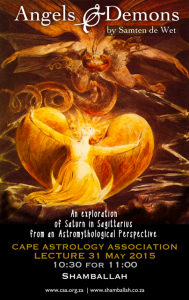 Samten’s deep insight into esoteric symbolism will be applied in this lecture to the current situation of Saturn in Sagittarius.